Here are just some of the disorders covered by our group. There is a lot of overlap for some of these conditions, and some terms are used interchangeably, so our grouping here will not be exact. Where possible, we have tried to provide a link to websites that will help you learn more about these conditions. 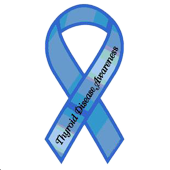 Both of these articles about hyperthyroidism were featured in e-medicine and were last updated in April 2009.